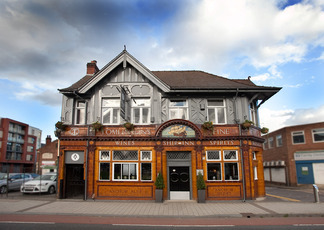 Recently re-opened following a refurb and possibly a change of ownership. Interior is nice and clean, staff friendly and attentive, reasonable range of beers on. Certainly no sign of this 'gruff landlord' mentioned in previous reviews. If they don't let things slip, should be a decent place to keep going back to. good pub, polite and helpful barmaid, 3 guest ales tried all very good. A nice enough pub. Reasonably traditional decor with well kept, if a small (for Sheffield) range of ale. The place was deserted. I asked if I could sample the beer, seeing as I'd never seen 2 out of the 4 on offer. I was promptly told I couldn't, quite gruffly, he wasn't joking. I ordered a half of each of the ones I never saw. My main question is, when there are no other customers in a pub at 9pm on a Friday night is such a rude and abrupt approach a good idea to your only customers who only wish to ensure they don't shell out for a pint they may dislike? I'm tempted to agree with the previous reviews that the landlord was rather too gruff. If we were priviledged to a warmer welcome it is doubtless this pub would have got a higher rating as it is otherwise a decent enough boozer. Reasonable pub with a drinkable pint. Anywhere else would rate higher but there are a number of top pubs in the vicinity.